I love this shawl. I'm going to go ahead and say it's my favorite one in the book. I really love how this design came together for me. 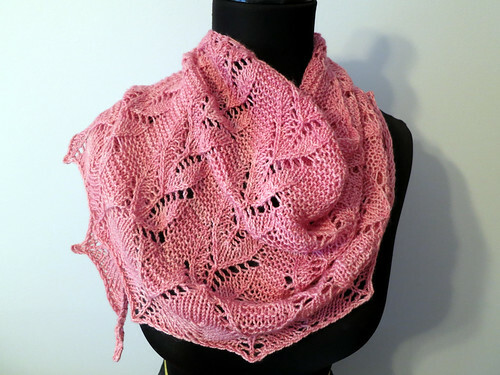 It's knit from the top-down and can be adjusted to be bigger if you want. I have serious plans to make a larger one! Timberland was one of my earliest patterns, and while I do like it, it just doesn't do that beautiful stitch pattern justice. So I decided to play with it a bit, and Monarda was born. 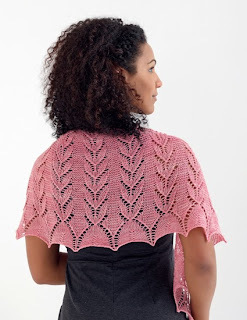 It's no secret around here that I love the look of garter stitch and lace together. And this pattern just marries them perfectly for me. I hope you love it like I do! 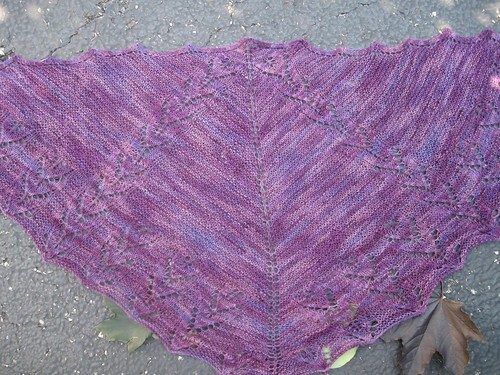 The shawl in the book is knit out of the always lovely Madelinetosh Tosh Sock. I love this so much. It's a staple in my stash. Stay tuned for next week - I'll be showing off some of the larger shawls in the book, starting with Starlit! Want to read more blog posts from this blog series? Click here. 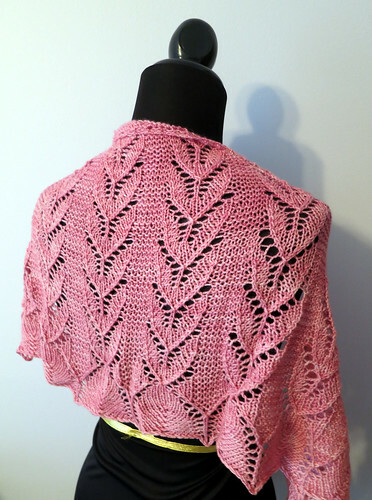 Image from Sock Yarn Shawls II by Jen Lucas, Martingale, 2015; used with permission. Photos by Brent Kane. All rights reserved.